On a recent trip to Boston I had a unique opportunity to learn about one of the fastest growing mobile apps for the iPhone and Android: SCVNGR. In just under 9 months, SCVNGR has seen some pretty impressive growth, reaching 1,000,000 registered users in late February and partnering with too many companies and institutions to name. My gracious host, Jeffrey Kirchick, invited me to come by the SCVNGR offices after I tweeted that I’d be visiting Boston within the next few days. I gladly accepted the invitation, not really knowing a lot about the company. Boy was I in for a surprise. I arrived at the SCVNGR offices in Cambridge around 5pm on a Thursday and saw a bustling, energetic group of folks – most of whom weren’t even close to packing up and heading home for the day. This place was just how I imagined an internet startup would be: modern workspaces, young faces, white boards galore filled with numbered lists, and of course, an espresso machine. I even got a peek inside what they call the War Room, though I wonder if any of them have seen Dr. Strangelove and really know what that reference means. After a brief tour of the spaces, Jeff and I sat down to discuss the exciting things that SCVNGR is doing in higher education. Partnering with universities and colleges, SCVNGR is able to help schools create an unforgettable mobile experience for new students, which, in turn helps forge a more positive initial impression for a lasting relationship between the student and the institution. What I liked most about SCVNGR is that they are carefully positioning themselves, not as a foursquare competitor (as you might expect), but instead working to carve out their own niche in mobile gaming. In a couple of my previous posts (here and here), I’ve been pretty up front about my disappointment with foursquare. It was great to see SCVNGR taking a new approach, and I think they’re seeing the results of making their app less about the check-in and more about the shared experience. They’re also aggressively seeking corporate and education partners to help them get to the next level. All in all, I think SCVNGR is a company poised for more exponential growth in 2011. Backed by Google Ventures, they secured an additional $15M in funding early this year and they’re getting lots of attention in the mobile app world. Thanks again to Jeff for showing me around and introducing me to a great new mobile platform. I’ll be watching in the coming months to see how things progress. 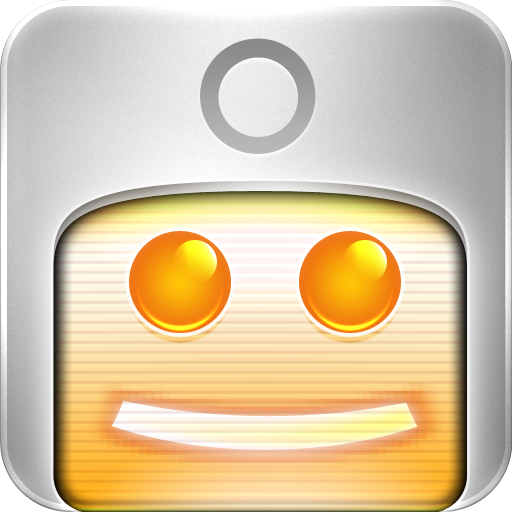 What are your thoughts on mobile gaming and the future of SCVNGR? I’ve been an iPad owner since November. Some of you may remember the story of how I won an iPad & $200 to the Apple store from two separate drawings in the same day. 1. Google. Since I use many of the Google apps (Docs, Calendar, Reader), this one is a no-brainer. One of the most-used apps for me. 2. Dropbox. In attempting to put all my important stuff in the ‘cloud’ I’ve discovered that Dropbox can be a quick and easy way for me to share PDFs and other documents that don’t require collaboration (e.g. directions to my office or a digital version of our brochure). With a free 2GB of space, it’s pretty handy and syncs automatically on my laptop, iPhone, and iPad – so my docs are always up-to-date. 3. Twitter. On my laptop, I usually prefer Tweetdeck. On the iPad, it’s a completely different story. When the Twitter iPad app was first released, reviewers loved it. I’ve grown to love the app, which allows me to ‘pull the thread’ on interesting tweets to visit websites, take a look at profiles, and see an entire conversation – all without losing my place on the original tweet. 4. Netflix. Ok, even though I recently expressed my discontent with Netflix and their streaming service, I still like the iPad app (I’m just frustrated with the seemingly few choices I have for good movies available for streaming – but that’s another post). The app isn’t unlike the Netflix website: cleanly organized into categories. Easy to use – and easy for me to quickly find “The Cat in the Hat Knows a Lot About That” for my son. It’s the little things these days. 5. Amplitube. So this one may not be a “must have” iPad app, but I thought I’d throw it in anyway. This app simulates a guitar amplifier, plain and simple. Allows me to plug in and rock my Les Paul at 9pm, even when the little guy is sleeping. The free version has some basic delay and distortion – which is fine for my rehearsal needs. Maybe someday I’ll pay to add more features (e.g. different effects pedals, other amplifier models, etc). It does come with a tuner, which is helpful all by itself. Another cool standard (free) feature – the ability to record! While I’m sure I’ll find more useful apps in the coming months, these are a few that I’ve used the most in the early months of iPad ownership. 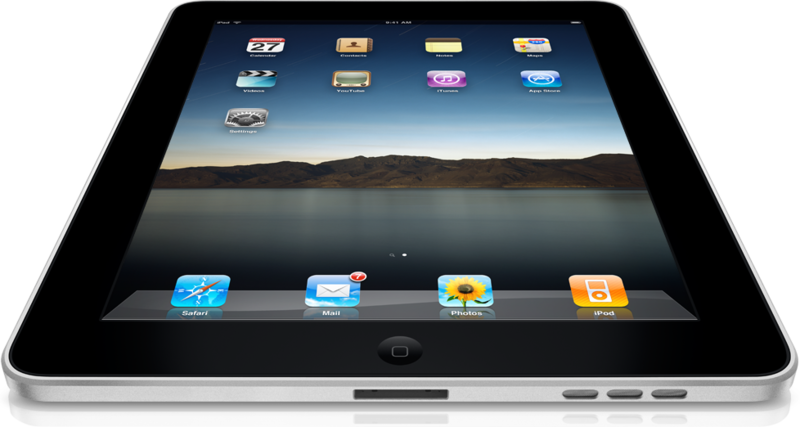 What are your favorite apps for the iPad? I’m only about halfway through this one, so I’m still getting to some of the good stuff. Basically, Auletta opens up the hood on one of the most powerful and fascinating companies in the world and the result is an easy, fast read that provides lots of history on how and why Google is such a force in business. Again, I’m only part of the way through this one (noticing a trend here? ), but it’s clear that this is a great book for marketers and non-marketers alike. Using recent (2010) case studies and relevant examples, Qualman does a great job of explaining why businesses should embrace social media (just in case there are any holdouts left these days). One item that jumped out at me was the subtitle; notice he says “transforms,” as in, it’s constantly changing. Read it now before this is all old news. In case you haven’t seen it, here’s a powerful video that was created along with the book. If you like old stories about old rockers, which I do – this one’s for you. 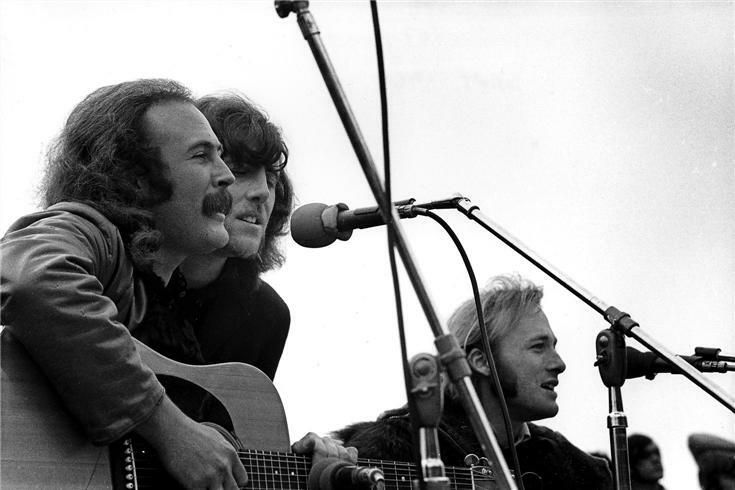 Endorsed in the preface by Graham Nash himself, this seems to be a pretty accurate, raw, and real version of the CSN story. Again, only halfway through, so don’t tell me how it ends. After spending 2.5 days at the Symposium for the Marketing of Higher Education organized by the American Marketing Association, I’ve definitely come away with a ton of new ideas, energy, and renewed focus. Below is a quick summary and my top 3 takeaways from the great event. Attendees included folks from higher education from around the country (and a few I met from other countries). 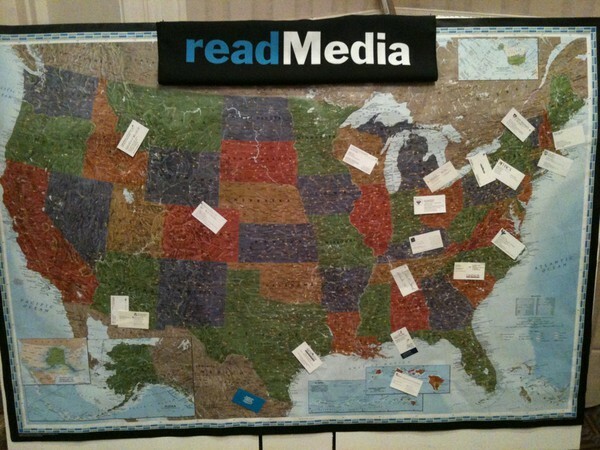 From what I could gather, most of the participants were from the east coast (as shown by the big map displayed at the readMedia booth. Note: the map continued to fill up and most of the biz cards were pinned to the wrong coast). Measuring your efforts is key. At the symposium I attended in Chigago in 2008, measuring social media efforts was still a bit of a mystery to most people. Some argued it could be done, but few believed it could be done with any accuracy. Obviously, many things have changed and there are more ways to measure than ever. I heard it said best this week: you can’t manage what you don’t measure. Mobile is one of the highest potential segments for higher ed. Read below for some impressive examples of mobile apps on campus. You’re not alone. I heard lots of people all expressing similar frustrations regarding centralized control of marketing functions, getting faculty buy-in, branding, logo policing, and more. Incremental progress is the way to go. Many of the presenters talked about 2007/2008 as the year they started some of these initiatives – they’re just now presenting results at a conference. Be patient, be realistic. Ok, so on to my summary of the experiences I had at the conference. Day 1 started with an “interesting” keynote from Marita Wesley, director of creative strategy development for Hallmark Cards. Many people didn’t get her presentation style, as she blew through about 200 slides in a 45 minute talk, often spending no more than 2-3 seconds on a particular slide. Still, I grabbed a few nuggets from her presentation on trends in 2010 and beyond – including a few interesting books to check out. The breakout sessions that followed were great for me (we had 4 great choices for breakouts, so it was sometimes difficult to prioritized and decide which to visit). First up was a session on mobile apps on campus with Lisa Lapin and Tim Flood from Standford University. The school embraced mobile technology early on, and as a result, they’re pretty far out ahead with their iStanford application (12,000 registered users). Follow the link for a great look at the features of the app. Rounding out the morning, I sat in on the presentation by Michigan State and their branding company, 160over90. I had a chance to talk with the folks from 160over90 and was really impressed with their work (not to mention the college-themed party they threw on Monday night, complete with foosball tables and a movie reel of college movies like Revenge of the Nerds and Rudy)! The lunch keynote was Spencer Frasher from Google, who mainly talked about the importance of search in all types of marketing (surprise). Day 2 of the conference was again very valuable, starting with a presentation by Teri Thompson, VP marketing for Purdue University. Since Teri came from industry, her stories and examples were a bit different from the others we had heard throughout the week – and they were all great. Tuesday’s lunchtime keynote, Macalester College President Brian Rosenburg, was also very engaging, and quite possibly created the most buzz from those on Twitter. Just take a look at the video and you’ll see what I mean. Over 60,000 hits on a low-budget masterpiece that has inspired some great conversations and press for a college of only 2,000 students. Definitely a social media win! Tuesday afternoon, Joe Hice from NC State stole the show, again talking about location-based services on campus. Everyone was floored by this one, since they’re light years ahead of most for-profit businesses (at least from what I’ve seen) regarding their adoption of mobile apps and the full integration of mobile in their entire strategy. Well done, NC State! Tuesday ended with more networking and all those drawings that I never seem to win. You know, drop your business card for a chance at a $100 iTunes gift card – that kind of stuff. This time, I actually won something… big… like a 32G iPad from PlattForm Advertising! I mean, I never even win the $25 bag raffle at Trader Joe’s, so this was a complete surprise. Thanks again, PlattForm! So, yeah, I actually won two grand prizes. Did I mention the $200 Apple Store gift card I picked up from Zone 5? I actually won by scanning a business card with a QR code – pretty neat idea and had people talking. Now I can actually go buy a few accessories for the new iPad! Day 3 started with a great presentation by Dave Kissel from Zocalo Group, a “sustainable word of mouth marketing” company. Dave focused on the use of social media and provided stories from outside higher ed to show how the fundamentals are still the same. Finally, we wrapped up the conference with what was more of a conversation between everyone in the room about their best practices, burning questions, and predictions led by Rachel Reuben, Michael Stoner (great blog, by the way, which he used to help create the content of his presentation), and Fritz McDonald. 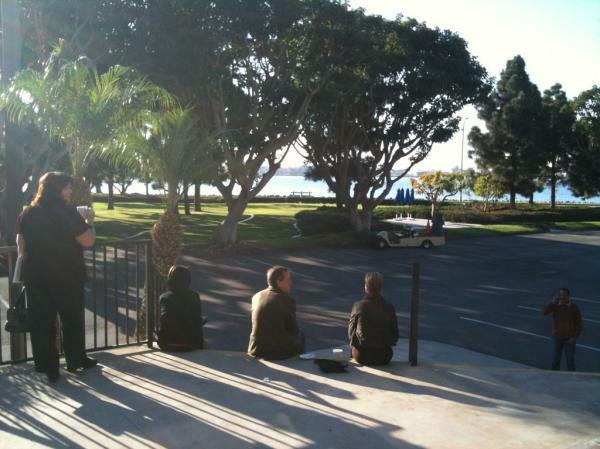 Some conference attendees wishing they could stay in SD a little longer! Shout outs are in order to tons of other people I met this week, but the list is pretty long (and so is this blog post). Amy Mengel created a killer Twitter list of AMA attendees who tweeted using the #amahighered hashtag. Some of my favorite tweets came from Michael Perrone, Ray Witkowski, Amy Mengel, Rachel Reuben, Michael Stoner, and so many others! Thanks again to everyone for sharing great ideas and stories. I hope you all enjoyed our fair city and had some time to get out and see the sights. See you in Chicago in 2011!